MacKaye had spent the better part of the four years after the publication of his proposal advocating for the construction of the Trail. As early as 1922, sections of the future trail had been built in New York, but progress was slow. 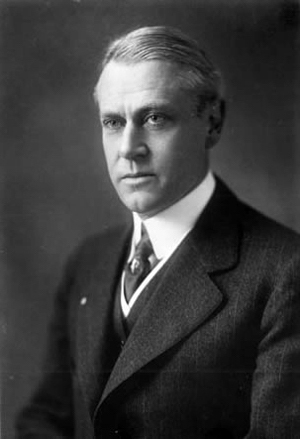 Hoping that a meeting of interested individuals would get the whole project off the ground, MacKaye asked the Federated Societies on Planning and Parks to invite like-minded individuals to come to Washington, D.C., on March 2, 1925, to attend a meeting of what he called the “Appalachian Trail conference." 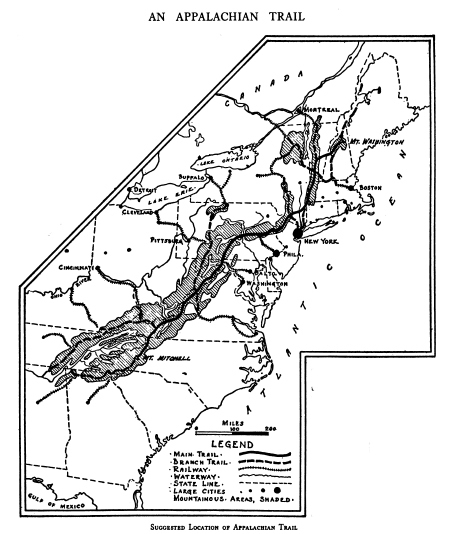 In his opening remarks at the Washington meeting, MacKaye said that the trail’s “ultimate purpose is to conserve, use, and enjoy the mountain hinterland.” But the future “trailway” (as he called it), “should be as ‘pathless’ as possible; it should be the minimum consistent with practical accessibility.” Thus, from the start, was laid down one of the basic principles of the Appalachian Trail project—the desire to keep it as rustic as possible, while at the same time providing ease of access to as many visitors as possible. The tension between these two goals led to some of the earliest controversies among the early builders and managers of the Trail, and eventually to MacKaye's estrangement from the Appalachian Trail Conference. The men who met in Washington that spring, including Stephen Mather, the first director of the National Park Service, agreed to begin work on the Appalachian Trail right away. Following a proposal from a representative of the Appalachian Mountain Club, they organized themselves into five regions, each of which would be represented in the newly formed Appalachian Trail Conference (ATC), today known as the Appalachian Trail Conservancy. The ATC was intended to provide general supervision and guidance to a network of local clubs and organizations that would set about the project of building the trail across 14 states and more than 2,000 miles.